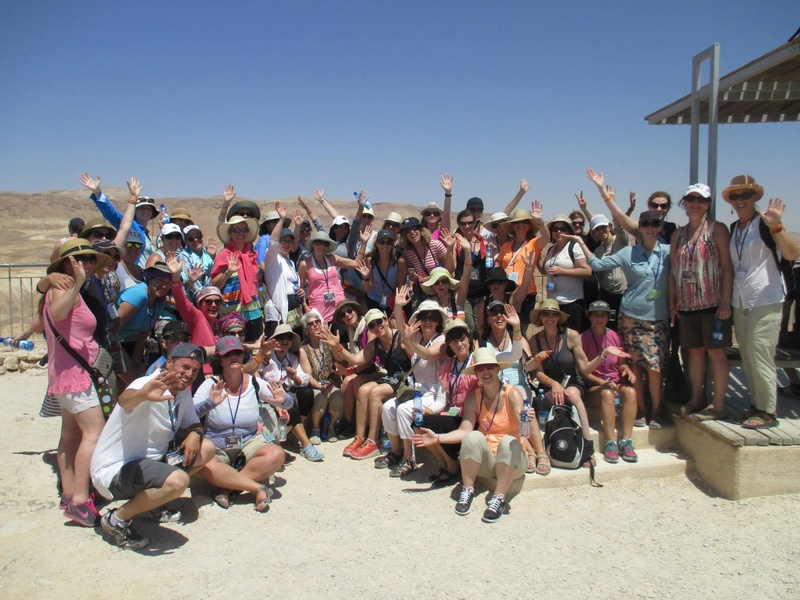 To Israel and back, to camp and back, all in 10 days. The woes of a weary traveler. Well not really, just woes of a mother of teenagers I guess. But it was a quick test to see what (and if) I learned anything in Israel. Wednesday morning we arrived home from our amazing and transformative trip. I couldn’t wait to share it with everyone…Especially my husband. Yes, Lori I went food shopping and prepared a glorious dinner and got myself dressed and everything. He was due to arrive home at 6:30, the kids were due to call from camp at 6:45 and the rest was up to us! I knew my husband was on the 5:40 train, and at 5:42 the phone rang…The Dr. at camp let me know that “While everything is going to be ok, my daughter has sustained a pretty sever concussion. They are observing her for an hour or so before she is sent of to the hospital for a CT scan. The Dr. goes over everything with me and I take copious notes so I know what I am talking about when my husband comes home. My mind begins to race. That glorious dinner – out the window (metaphorically). My warm and happy to be home greeting from my husband….much less so! My thoughts begin to spin…”Really!” I think…”Couldn’t I at least get one day to re acclimate?” “Really, I get it that which doesn’t kill you makes you stronger…but Cancer twice, and a plethora of other things…AREN’T I STRONG ENOUGH?” I even thought with all that is going on in Israel right now, Ya had to pick on my little daughter too. ?” All of this raced through my head. As it would have in the past….But then the miraculous happened….And Lori, this is major for me…. The phone rings at 6:15 and it is my Son Matt…Whose voice got so deep I didn’t even recognize it…And I said, Oh, you are calling so early, Dad isn’t even home yet…Will they let you call again? “No” I was happy to talk to him, and he had seen Alissa so he filled me in on how she was doing…but I felt terrible that Scott wouldn’t get a chance to talk to him. And the negative comes racing back through my mind. Thursday we kept close touch with the camp, and there was little improvement…Friday, their was no word, so I was feeling uplifted. Off to the grocery store to get food for a nice dinner. I bought my Shabbat Candles, and picked up some fresh flowers…All set. When I got home I began to put everything away, and the phone rang Da DA Dum…Yes it was camp. The Dr. feels that it is hard for her to get the proper rest she needs to heal. So they feel it would be best if we came and got her for a few days (or a week). Really? The questions again began to swirl….She and her age group are supposed to be going to the west coast in a week, (what about that trip…and I am praying every day that she can go…all additional prayers welcome)…She had just sent a letter home that she tried out for all the sports teams and made them (and if you know Alissa that is HUGE- sports she is not). That is how this happened by the way, she was playing soccer against Camp Startlight – and got an elbow to the right forehead. Anyway, I like any good mother, without a second thought, hopped in the car (leaving the food on the counter I might add) and drove 3 hours to get her. She got teary as we drove out of camp, slept most of the ride home. She has some time to be home, no TV, No Phone, No internet, and No reading (this one doesn’t upset her at all). But, and here Lori, is what brought it all home. Transform and Grow, Lori…I get it! The trip of a lifetime has come to an end. We came to Israel 9 days ago as aquaintancs and left as sisters. The last day was more alt saying good-bye and wrapping up the lessons of the week, which was fine. The final dinner…skits by each city and scenery proved to be touching, sad, and funny…Saying good bye was such sweet sorrow….Some of you I will see ‘morrow! Of to Tel-aviv a group went. Some went on their own, a few went with the “extension (something that JWRP and GoINSPIRE really need think about — and maybe revamp). Tel-aviv was the polar opposite of Jerusalem. Modern, and filled with the hustle bustle of a metropolitan city….sprinkled with a little “jersey boardwalk vibe!” We Seqwayed around, visited the Blind exhibit at the Children’s Museum, walked around The Tel-avi port and had dinner. We had hoped to make to Old Jaffa but “travel Warnings” prevented us. It was a small taste of what the Israeli’s live with daily. While at dinner the siren’s sounded, and by the time we headed toward the shelters the all clear was sounded. And life don’t skip a beat. The beaches were filled the roller bladders were back…as were the people walking. It is not a way to live….My days in Israel were filled with wonderful moments….The ending will be put in a place that will not mar any of that. ISRAEL, should be a must on everyones’ bucket list….Oh and by the way in the land of the Israeli Salad and healthy eating…I still managed to gain 5 lbs…. Enjoy today…Live life…Dream big…love fully!!!! That is what I take away…and I am so happy about it.